The New Louisiana Angel Fund 1 (NLAF 1) reports it has added a twelfth North Louisiana company to its portfolio of funded companies. The fund is managed by BRF and is made up of 53 accredited angel investors who make all investment decisions.The group has committed $2.37 million of $2.67 million since the first quarter of 2015. Investors have also made separate individual investments accounting for an additional $2.19 million.The fund’s Internal Rate of Return as of Nov. 14, 2017 on total fund dollars invested is 12.5 percent, with a current portfolio value of $3.29 million. The fund’s portfolio includes companies from the software, healthcare, IT services, retail, energy and entertainment sectors. Software technology and healthcare make up 54 percent of NLAF 1’s portfolio, followed by IT services at 19 percent. The fund, which was launched in 2015, invests solely in North Louisiana-based companies. The fund’s objective is to provide capital to entrepreneurs and investment opportunities to accredited investors wanting to promote high-growth startup opportunities headquartered in North Louisiana. Through syndicated investment, local investment, banks, grants and other funding, the 12 North Louisiana companies have generated $38 million in new capital for the local economy. Sixty-one jobs within Caddo Parish are associated with NLAF 1-funded startups. Fundraising is ongoing for the next angel fund, NLAF 2. 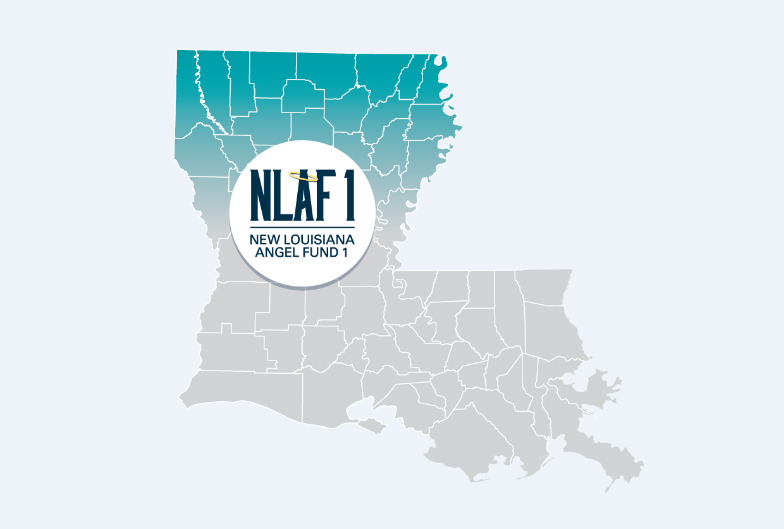 NLAF 2’s goal is to raise up to $5 million to invest in more North Louisiana high-growth startups. The opioid crisis has highlighted the need for addiction therapy and renewed interest in pharmaceutical solutions. Embera’s EMB-001 pharmaceutical has successfully completed a Phase 1b cocaine interaction study, and preparations are underway for a Phase 2a tobacco-use study at Yale, as well as for a Phase 2 cocaine study at 15 sites in the United States. A provisional patent has been filed for a new EMB-001 formulation, which (if allowed) will extend the EMB-001 patent protection and add more value for investors. Embera is in due-diligence with a large pharmaceutical company for the EMB-001 formulation. Embera is a spin-out of an LSU Health Sciences Center Shreveport-licensed technology. Lagniappe Labs has released its first product, the Prime Unicorn Index, which is an equally weighted price-return index that measures the share price performance of private U.S. companies valued at $500 million or higher. The product has been featured on Marketwatch.com, and interviews have been completed with the Wall Street Journal and Yahoo Finance. The Lagniappe team has turned its focus toward sales now that its first product has launched and is gaining national attention. Lagniappe Labs is based out of BRF’s InterTech 1 in the InterTech Science Park. Swaybox Studios has filed a patent on its puppetry technology, which founders say allows them to create industry-standard media in a fraction of the time for a fraction of the price, compared to traditional animation studios like Disney. The trailer for the short film has been used to secure top Hollywood management, such as Gary Ungar (manager of Guillermo Del Toro), Damien Chazelle (Academy Award-winning director and writer of La La Land) and Michael Siegel (Executive Producer of BFG and Fantastic Mr. Fox). Swaybox is also in the development stage of creating family films/series with Kent Osborne (producer and writer of Adventure Time) and Peter Burns (writer of SpongeBob SquarePants). Swaybox currently employs eight full-time, but it can employ as many as 200 to 250 while in full production mode. Innolyzer has completed prototyping and now has a minimum viable product. The first units have been received, and the company plans to begin sales in January with a goal of moving 2,000 units per month. Innolyzer’s initial market focus will be in industrial application for environmental services. Innolyzer is a past winner of the Louisiana Startup Prize, is based in BRF’s InterTech 1 in the InterTech Science Park, and is another spin-out of an LSU Health Sciences Center Shreveport-licensed technology. CyberReef has added capabilities beyond machine-to-machine security to include data control to reduce overages and enhance productivity for corporations and to control and filter the internet in child education settings. Verizon, AT&T and Sprint are now using CyberReef services. A new strategy has been deployed to leverage Telecom Expense Management companies that wish to use CyberReef’s data control capabilities. Sales will also target end users with the capabilities to reduce billing. CyberReef employs 18 people, eight at its downtown Shreveport headquarters. SkyCoach is the sideline video provider for the Canadian Football League and high schools throughout the United States. SkyCoach has expanded its product offerings to compete with Hudl in the video exchange market. Skycoach added sales reps in Los Angeles and Tulsa, resulting in a 30 percent increase in revenues. The paid customer renewal rate is at 92 percent. RNvention has received manufacturing samples for its first product, the Multinix, a utility tool for nurses, and it is close to starting sales. The company plans to order 1,000 units by mid-December and expects its first revenue at that time. RNvention is seeking relationships locally with University Health System and Christus Health as its first health system customers. Segue Therapeutics has signed sponsored research agreements with the University of Chicago and LSU Health Science Center Shreveport to continue research on its patent-pending pharmaceuticals to treat fibrosis and pancreatic cancer. Research will also occur at the recently opened private biotechnology lab, Segue Science Labs, located in BRF’s InterTech 1 facility in the InterTech Science Park. Segue Therapeutics has identified Idiopathic Pulmonary Fibrosis as a new market for its pharmaceuticals ST2001 and ST2022 and is on course to initiate a clinical trial in two years. Segue Therapeutics is a spin-out of an LSU Health Sciences Center Shreveport-licensed technology.